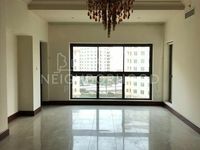 One of Dubai perks is finding living options between the displayed apartments for rent in Palm Jumeirah project. Palm Jumeirah is an artificial cluster of small islands depicting the shape of a palm, it consists of trunk and leaves. 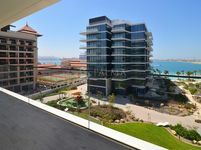 Apartments are mostly available in the trunk area of the palm, there are also other units located in the residential communities scattered throughout the development. Palm Jumeirah projects will offer an exceptional style of living for any resident that is uncomparable in the whole GCC region. Most apartments in the project have fantastic views of the sea, they also have a wide set of amenities like swimming pools, saunas, steam baths, and many other. Palm Jumeirah was developed by Nakheel Properties which is owned by Dubai government, it’s the smallest island between a group of three artificial islands developed by the company. The apartments are located also in fine areas boasting parks, green areas, landscapes, beaches, and other. Resident of each and every apartment will have the chance to take advantage of these facilities. Palm Jumeirah lies in the center of Dubai and it has direct access through two causeways to Dubai’s mainland. Due to all these factors, the project became very demanded between Dubai tenants. Visitors also prefer its lavish hotels which feature extraordinary designs and entertainment choices. There is a massive set of apartments of different types available for rent in the project, all of these types are available in Just Property. The available apartments come in furnished, unfurnished, and semi furnished also. 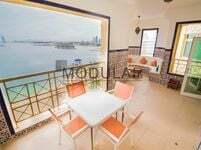 Finding all these types of apartments for rent in Palm Jumeirah isn’t a tricky since they are all available on Just Property website. The sizes of apartments vary between studios, one-bedroom, two-bedroom, three-bedroom, and four-bedroom apartments. Palm Jumeirah offers a unique standard of living unraveled in all Dubai. It’s enough to live in such incomparable architecture style and designs, also the quality of amenities available and facilities make style of living very comfortable. Palm Jumeirah is centrally located and it’s accessible through roads and public transportation. It lies near Dubai’s most significant sites like Burj Khalifa, Dubai Mall, and other. It’s also near the city’s most vibrant business areas. Living in Palm Jumeirah is absolutely a bliss. It’s a melting pot of different nationalities and offers a wide set of amenities making it a really incomparable experience. 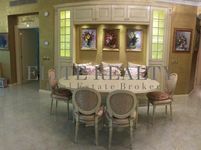 Check our list for displayed apartments for rent in Palm Jumeirah to find the apartment that suits your demands. We have a wide set of choices varying in all types and specifications to meet all demands. Once found the most suitable one, don’t hesitate to call our number. There is a team of sales executives and real estate agents available around the hour to take your call and answer to all your questions and queries. 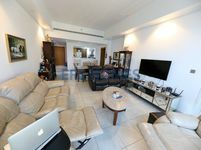 It’s not a tricky task anymore, just check the apartment’s images, read the description, and call. Renting in Dubai needs showing some personal documents like visa, passport, and other. Once the contract is signed, the tenant is eligible to use his apartment and start moving his personal items.